Violin and violas are determined by the length of the student’s arm. 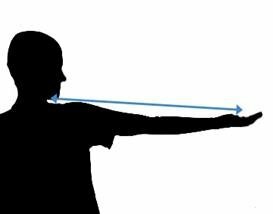 With the student’s left arm fully extended and palm up, place a measuring device under the chin to simulate a violin - note the measurement at the center of the palm. If the sizing is between two choices, it is better to play the smaller instrument than to choose the next size up and wait for the student to “grow into it”. 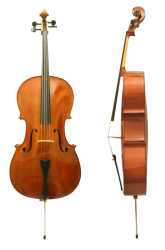 For the cello, the sizing below is based on the height of the student. If the sizing is between two choices, it is better to play the smaller instrument then go to the next size up and wait for the student to “grow into it”. For the bass, the sizing below is based on students of average height for their age. Unlike other strings, the full size bass is 3/4. 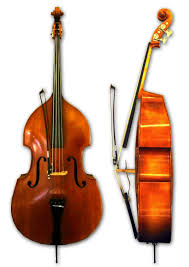 Even adult professionals prefer a 3/4 full size bass, and 4/4 basses are extremely rare. If the sizing is between two choices, it is better to play the smaller instrument then go to the next size up and wait for the student to “grow into it”.